I am not a shop-a-holic! "Hindi ako kuripot at hindi naman din ako big spender". Let's just say that every peso I spent should give me something in return that will make me a better person. I work hard and money does not grow on trees. If there will be a Philippine edition of Extreme Couponing, I already see myself to be on that show. Although couponing is not that famous here in the Philippines as a marketing tool, I think I will be the right resource person to be interviewed on how I used or should I say "abused" my BPI credit card in feeding my guests on my birthday party without spending. "Oh I spent pala for the drinks, eh di wow!" And before you judge me on my spending habbits, let me tell you that I pay all my dues before the due date. "Sabi nga, sayang ang points!" There were also times (read as a lot of times), when you have a budget to consider but you still want to explore and experience the "other side of the world" (read as luxury) and you were given an irresistible upgrade, freebie or a discount and you will just say "Yes" while your eyes twinkle with happiness. Don't you just love that feeling? I do! I can still recall that feeling when a hotel front desk staff informed me that we were given free room upgrade, free drinks from the bar, 50% off on our second night. That feeling when you pay only half of what you could have paid for it will make you do the happy dance. Other cards offer voucher type benefits like 50% off on dining, cash vouchers, freebies, upgrades, free services, special rates, trial class, free consultation, while others were giving an outright discount for every product purchased. Discounts and freebies given by a store/supplier/company makes me feel appreciated. It makes me feel special. It doesn't not matter whether it's a free drink, 5% discount , or another 5% on your next visit, as long as they are giving me an added value. 1. Will I visit the partner establishments in the next 12 months? 2. Are there expiry dates? Vouchers usually have expiry dates and must be use before it expires. They also have restrictions that needs to be followed. 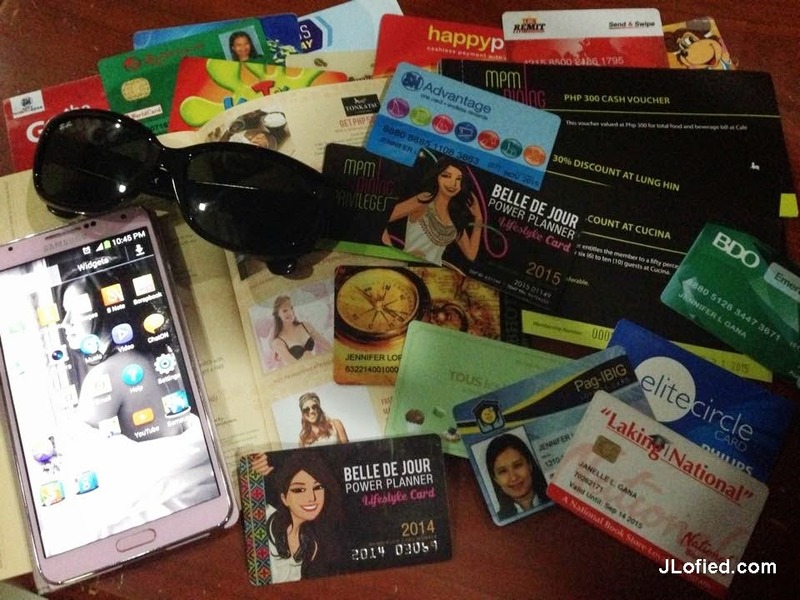 Apply for a BPI Card and choose the best cards, promos and deals for the lifestyle you want because they have a lot. The BPI Real Thrills offers : 1) Favorite Store Rewards; 2) Shop Anywhere Rewards (which is my fave); 3) Card Exclusives; and 4) Real Thrill Rewards. To know more about these perks, visit www.bpicards.com. Buy a BDJ Power Planner and get the BDJ Lifestyle Card for free. The BDJ Lifestyle Card serves as a membership card to gain access to al BDJ events throughout 2015. Plus, some of their brand partners have generously offered recurring discounts and promotions to help you live out your "it" girl lifestyle! How to Apply for a Pag-IBIG Loyalty Card? Established by the National Book Store, the Laking National card is another great addition in the list of benefit cards must - haves, most especially if you have schooling kids. For only 100 pesos, the cardholder will earn points for every purchase. 1000 points is equivalent to 10 pesos which you can also use to purchase items from NBS. By the way, you can also get the card for free if you present receipts worth Php 5,000 (accumulated within 12 months). One card, endless reward. SM Advantage is SM's customer loyalty program that rewards members with points every time they shop in SM Department Store, SM Supermarket, SM Hypermarket and other SM establishments inside and outside SM Supermalls. The points earned can be used to redeem practically anything sold in any of those stores. Aside from the rewards points, SM Advantage offers numerous members-only privileges such as exclusive sales, discounts and freebies inside and outside SM Malls.